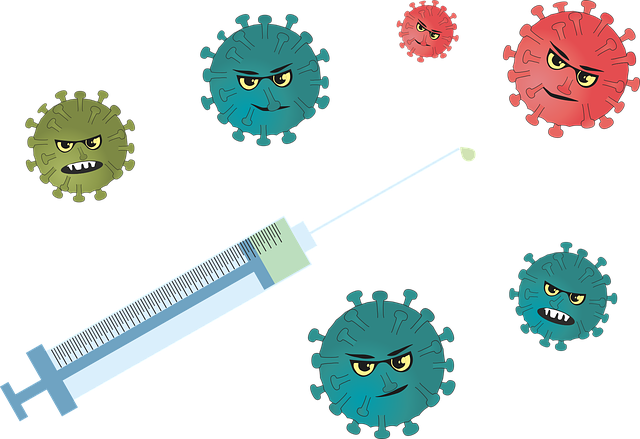 ← The Flu Shot — Just Bad Medicine! What exactly is the flu? A fair number of people tell us they “catch the flu” several times a year. They describe low-grade fever and fatigue, with episodes of coughing, a sore throat, a runny nose, and possibly muscle aches and pains. While these unpleasant symptoms are probably viral in origin, it’s very likely that they aren’t caused by the flu virus. “The flu” is a group of very specific viral strains, known as influenza A and B. These strains can cause much more serious, even life-threatening illness than the common cold. 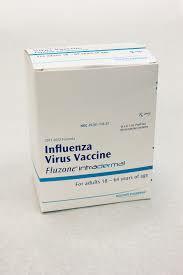 Manufacturers of the flu vaccine must prepare the current year’s vaccine months in advance of flu season. Therefore, they must guess which viral strains will be prevalent in the months ahead. Even if they guess right, getting yourself vaccinated will generally only lower your chances of getting the flu by 40 to 60 percent. The efficacy of the vaccine varies considerably by age. In 2016-2017, flu vaccine efficacy was estimated at 25 percent for those over 65, and 61 percent for children of age 6 months to 8 years. All best are off if the virus mutates, as it did in 2014-2015 flu season, when the vaccine was thought to be only about 19 percent effective. 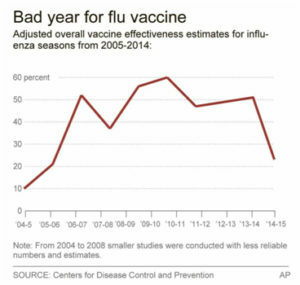 With the exception of FluMist, an absurdly ineffective nasal flu vaccine that boasted a 97% failure rate, the Center for Disease Control strongly recommends that everyone be vaccinated. 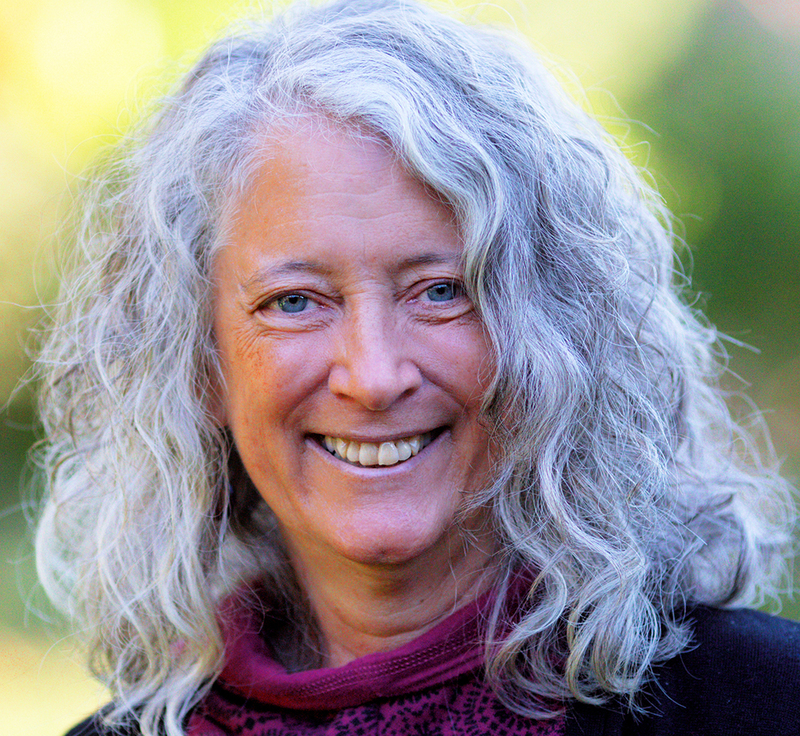 They reason that even a 25-percent lower risk is better than none, and that lots of people need be vaccinated in order to develop a “herd immunity” that will stop transmission of the disease. Also, the CDC claims that the risk of transmission to vulnerable populations will be reduced if the flu is reduced by any percentage at all. Arguments against vaccination include the possibility of injection-site injury, and adverse effects such as development of Guillain-Barré Syndrome. Science magazine has questioned whether an initial exposure to the virus via the vaccine might reduce a person’s lifelong immunity. And Canadian and other studies have noted that those not vaccinated have better resistance to other viral-related illnesses. With conflicting data and lots of opinions, we must make our own decisions about whether to allow ourselves and our families to be vaccinated. Some years ago, while working for an insurance company, Dr. Marcel and I conducted a mini-study that compared the number of sick days taken by those who had been immunized, with those who supported themselves with naturopathic protocols. The naturopathic protocols won, hands-down. Granted, the folks who followed the naturopathic protocols were more health-conscious to begin with. But then again, that’s the point. What are some of the protocols that naturopathic physicians recommend to reduce our vulnerability to the flu? Optimize nutrient levels, especially Vitamin D.
Optimize thyroid and adrenal function. We use homeopathics for prevention and treatment; also, bioflavanoid concentrates, thymic protein products, the intravenous Myers Cocktail, and supplements specific to each person’s condition. As with any microbial disease, the severity of the flu will be determined by the virulence of the virus, and the receptivity of the host. And while we cannot affect the nastiness of the virus, we can certainly reduce our receptivity. Immunized or not, it simply isn’t possible to predict whether you’ll get the flu. 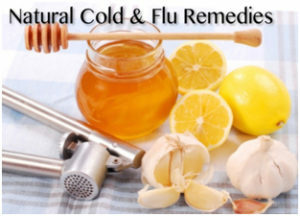 But in either case, naturopathy offers plenty of options for decreasing your risk, and for ameliorating the severity of viral episodes, not limited to the flu. Find out more about Dr. Connie’s work HERE. This entry was posted in Diet and Nutrition, Herbal medicine, Homeopathy, Intravenous (IV) Therapy, Natural Therapies, Naturopathy, Preventive Health Care, Vaccination. Bookmark the permalink.